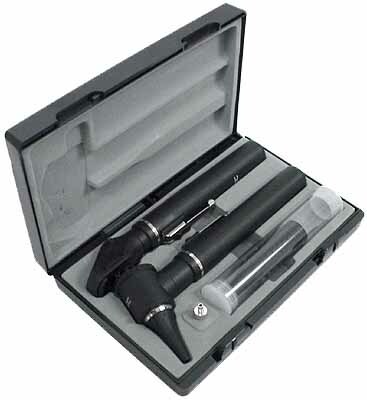 Competitively priced 2.5v Diagnostic Set in a fitted case. 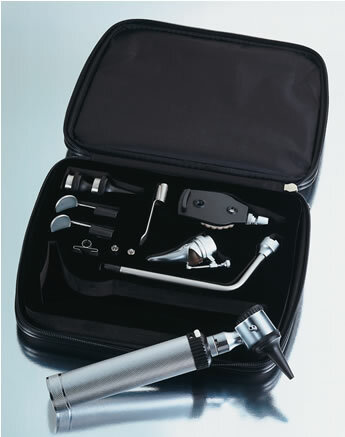 A full featured 2.5v set with 5 different instruments in a fitted case. 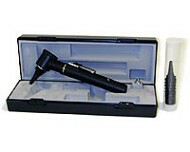 Full featured pocket otoscope and ophthalmoscope that sacrifice nothing but size. 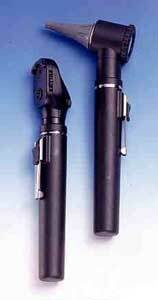 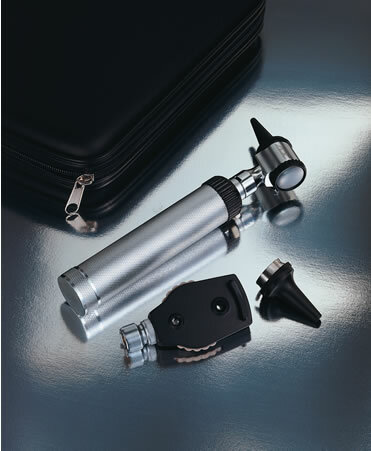 An affordable otoscope that offers high quality optics and workmanship. 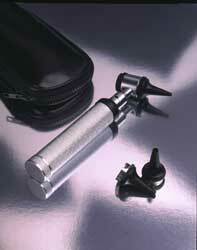 Compact instrument measures just under 71/2� and weighs approximately 7 oz.